I am inclined to think that Steve Grogan wasn't half as daft as he lead people to believe. I believe he played his cards well. It was supposed to be BB who advised him to let the authorities know where Donald Shea was buried. That makes me wonder how much all these guys know (but aren't saying) about other murders. Also, I wonder if Steve has ever kept in touch with Bobby over the years for giving him the right advice? Bobby was messed up and on a drug fueled road when he meet the Manson family.Its obvious from his company before Manson that his focus was survival in the fast lane.I do not think that anybody ever thought that almost 45 years later he would still be in prison. The California Parole Board make a point to Bobby that they don't think he would be able to make a living from his musical/artistic endeavors. Therefore, why did they let Steve go when he was trying to make a living from playing music live? Also, Grogan was on the scene at the LaBianca killings, but was never charged? The point is made that Bobby was friendly with Gary Hinman, but Steve was friendly with Shorty Shea before The Family pitched up at Spahns. What's the difference? There's something not quite right. Somebody want to PRINT the words of the song out and get a peek into the mind of a prisoner? The ONLY person who thought CLEM "functioned barely above the animal level" was a JUDGE ! Do a post / article on THAT Judge with a story of which rock HE's been hiding under for the last 30 + years. I'm sure CLEM's release from prison contains a "confidentuallity agreement" NOT to expose the incompetance infecting the judicial system. Getting out on parole in California is almost impossible. First you have to impress a parole board, then if you do get by them, you then have to get past the governor and his legal team. It is political. Has anyone read Bobby's last parole transcript? He royally pissed the board off, and was extremely arrogant. He has changed his story so many times too, that nobody believes him. This last time around he put the blame on Danny Decarlo, Bruce Davis, Manson, and, surprisingly Gary Hinman himself. This drug deal gone wrong thing is getting old. Nobody believes him, because he's changed his story so many times. I don't think BB would be a danger if released, but that isn't going to happen. Exactly. In fact, I remember when you did the post about the 'Sassy Bottoms' magazine which was discussed in the 2008 hearing. In fact, it was talked about in the 2005 hearing as well. 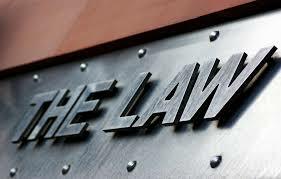 Mr and Mrs BB were running three businesses, and the 2005 hearing said that the other two businesses were a front for the SS Magazine business. BB is certainly arrogant compared with the other detainees. Has it not crossed his mind that if the Board wasn't going to let the dying Susan Atkins go free, then he hasn't got much of a chance. Also, the Prison didn't allow his to attend his wife's funeral. I remember in 2011, he wrote that he might ask the Governor for clemency. I don't live in the US, let alone California, so it would have to be a US citizen on here who could comment on the likelihood of success. I still don't think that Grogan was let go so early just because he pointed out a grave. At the end of the day, it was him who put the deceased there!! I've just tried listening to the clip of music, and I hate to be mean, but whoever is singing can't sing for nuts! Bobby's music in general doesn't appeal to me, but I suppose each to their own taste. I think a lot of his problem is that in his own mind he is not so much a inmate, but a celebrity who just happens to be in prison. In Jeff Guinn's book, he mentions trying to interview BB, but apparently there is a documentary in the making, and BB has agreed not to do interviews. The documentary may be an attempt at getting the viewing public on his side to write letters to the Parole Board. I think a lot of his problem is that in his own mind he is not so much a inmate, but a celebrity who just happens to be in prison. "Several places in your materials you describe yourself as an artist, and you've told the Board today, and in the materials that you've submitted that you're a videographer, a composer of music, an artist. This member of the Board doesn't think those are the sort of solid, reliable skills that you can bank on. I noted that you almost dismiss your skills and training in electronics, printing and sheet metal. Those aren't the things you want to do, it sounds like to me. Well, sir, it's likely that your life after prison will not be about performing and glamour. It will take effort and thoughtful strategy for you to survive, and I don't believe you've made enough planning in those regards. Your past public figure status, your pursuits with music, those memories you have of playing with certain bands, that's not going to serve you in the future, and it's not realistic to think that it will." I was watching one of Bruce Davies' Parole Board hearings on YouTube. Bruce admits he was one of the Manson Family, and one of the PB members can be heard saying that what he does not like about Beausoleil is that he will not admit to being a member of the Family. BB's musical talents. He is IMHO very average. The Parole Board is being realistic. Indeed, BB is now at an age where he would be looking to collect a pension from somewhere. If it was BB who was selling the items in the recent Las Vegas auction, they didn't achieve the lower estimate. I think Bobby is a legend in his own mind. I don't know if, in the US, that prisoners are allowed to make money from documentaries or books. You guys would know better than me. I was wondering if, when you were at Spahn, you encountered Bobby Beausoleil? Him and some of the others seemed to come and go. An accurate assessment of his talent IMO . I listen for 5 minutes and I'm done . I found a Denver performing arts blog where one of the people talking got a phone call from Barbara Beausoleil blaming them for BB not getting parole!!!! Here's the link, and the excerpt which is about halfway down the page. Moore: Do you remember the phone call I got from Bobby Beausoleil’s wife? Freeland: Oh, yeah, she was blaming your story for his not getting out on parole. Moore: How weird is that for you to hear? Blaming others? Sounds familiar, doesn't it? Truman Capote, if alive would be blamed too. So obnoxious! I agree. The only person to blame for BB not getting out on parole is himself! His wife pursued him when he was already incarcerated for life (and cynical old me doesn't think it was his ludicrous Syntar 'invention' that caught her eye)and therefore she should not have expected him to be released, let alone blame others. Barbara really had a cheek phoning these people up. I also thought poorly of her because of her 'Sassy Bottoms' magazine. As a mother, she should have known better than to make money from inappropriate illustrations of children. It's because we (the US) are now entering the (get rid of racists stage). You only need to look at the current Donald Sterling (Clippers owner) PUBLIC trial of HIS private comments to HIS personal assistant (black & brown) girl friend). AND members of the notorious BLACK and white race WAR GANG are likely considered by the PUBLIC (re; Helter Skelter) to be the supreme RACISTS of all time. It will NOW likely take for one of the MANSON Gang to come forward and reveal the TRUTH before ANY one of them are paroled. Problem is: WHO really knows the TRUTH ? PS: I never met BB face to face, but others have talked about him. Thanks for that. An interesting perspective, as always! Regarding the truth, I don't think one of the parties involved in the Hinman/Tate LaBianca cases ever told the truth about anything. The detail in their accounts contradict each other. There's certainly no motivation for Charlie to come clean. Bobby was told by the Assistant DA at the 2010 Parole Board that he is a pathological liar. Spot on. EQ: Some of your comments and others are VERY objective and stimulate my thinking. That is why I comment here. I have had a MANSON 5 hour mini-series about 80% complete for 10 years and could not find the right angle to complete it. NOW I think I have it: It needs to be re-edited into 5 EPISODES. this provides the viewer with 5 specific movies, but all closely related. Like EP # 1 The Family at Spahn Ranch, EP # 2 The Family at Death Valley, # 5 The Family 40 years AFTER etc. Can you think of any specific EPISODES you would like see. Can anyone ? The "Life after Manson" documentary is only 25 minutes long and was apparently made by liberal women. That should make it very interesting and a possible Oscar nomination in the Documentary SHORT category. IF it deals with the BLACK issues, it could be very controversial and thus successful. Especially IF Katie explains WHY she carved WAR in Leno's chest. Thanks for sharing this information with us. Sound exciting. I think my choice would be to watch the Spahn Ranch one probably because the location is familiar to the viewer, and sadly the buildings are no longer there. 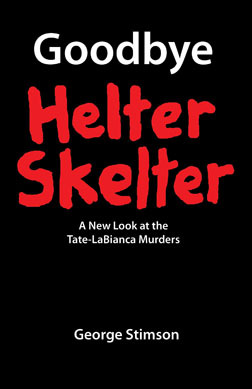 It would provide great alternative information for viewers who have only ever watched the ludicrous 'Helter Skelter' movie. Let's see if anyone can come up with ideas for you, and then hopefully you will complete the remaining 20%. Mr. H, I will buy all five episodes the first day you make them available! Robert- great idea to do a mini series. To add to the episodes you already mentioned EP#1 San Francisco- The family formation. Their time in Topanga and with Dennis Wilson would be worthy too. Then there is the Yellow Submarine House. Please do this Mr. Hendrickson. Your movie Inside The Manson Gang and your book Death To Pigs are some of my favorite possessions. With all the crappy looking movies like House of Manson in the works, it would be great to have some truth. I will buy all 5 episodes, but I really want The Spahn Ranch one. That is the strangest place in the world. I know a lot of you have visited there. During all of my trips there, I have gotten the weirdest feeling on the property. Actually all of Santa Susana pass road gives me a really weird feeling. Mr. H, I'm also very interested in the death of Zero. You were in the house where that happened, after the fact. How creepy that must have been. I'm also interested in what really happened to Shorty . I recent years we have found out a few more details. A lot of things still remain a mystery. Steve Grogan looks nothing like he did when he was young. It is still hard to believe that they have kept Bruce Davis locked up this long. When you think about it, Steve was as responsible for killing Shorty Shea as Bruce was, but Steve was released in the 80s. Also, Steve was in the car with the group that murdered the LaBiancas. Why wasn't he charged like Sadie? I still don't understand why Bruce is still locked up, but Steve was released. How come Debra Tate or Barbara Hoyt never went to Steve's parole hearing? Exactly. I wonder if a deal was done with Bugliosi at some early stage for Steve Grogan. The fact that DT and BH or Doris Tate (if she was alive) weren't rolled out, sounds like a set up to me. He should have been charged for his involvement in the La Biancas. I remember reading that a young backpacker's belongings were seen at Spahn, but the guy was never seen again, and Grogan was one of those around. Also, take into account his questionable behaviour round children. I think when that Icelandic guy who ran a blog outed Grogan's new name, he did the right thing. Something about it all stinks. If you read Grogan's parole transcript, he sounds nothing like 'Scramblehead' and he appears to be giving them the answers they want to hear to the extent that he sounds tutored. Is it possible he was giving the authorities inside information on all the activities at Spahn in return for a reduced sentence? It is still hard to believe that they have kept Bruce Davis locked up this long. When you think about it, Steve was as responsible for killing Shorty Shea as Bruce was, but Steve was released in the 80s. Also, Steve was in the car with the group that murdered the LaBiancas. Why wasn't he charged like Sadie? I still don't understand why Bruce is still locked up, but Steve was released. Ann, the reason that Grogan was not charged in relation to LaBianca is that there was no corroborating testimony. In most states you cannot be convicted solely on the testimony of your co-conspirator(s). And of course, the Constitution contains the protection of coerced self-incrimination. Outside of the occupants of that vehicle, there were just no other eye-witnesses to prove his presence on Waverly Drive that night. Had there been, he'd still be playing in prison bands. Well, how did they charge Sadie then? Sadie implicated herself to the Grand Jury. A car leaves the Spahn Ranch and goes to the LaBianca house. AND along the way the car is photographed at all intersections, AND at least one photo captures ALL the occupants' faces. There is ONLY one witness - the guy who testifies for the State that the cameras don't lie and were calibrated correctly at the time. Shortly after the subject car was last photographed at an intersection near the LaBianca house, a crime was committed in the LaBianca house. Will the burden of proof fall upon the occupants of the car to prove THEY did NOT enter the LaBianca house ? IS there sufficient evidence to convict the occupants of the CAR for the crime ? 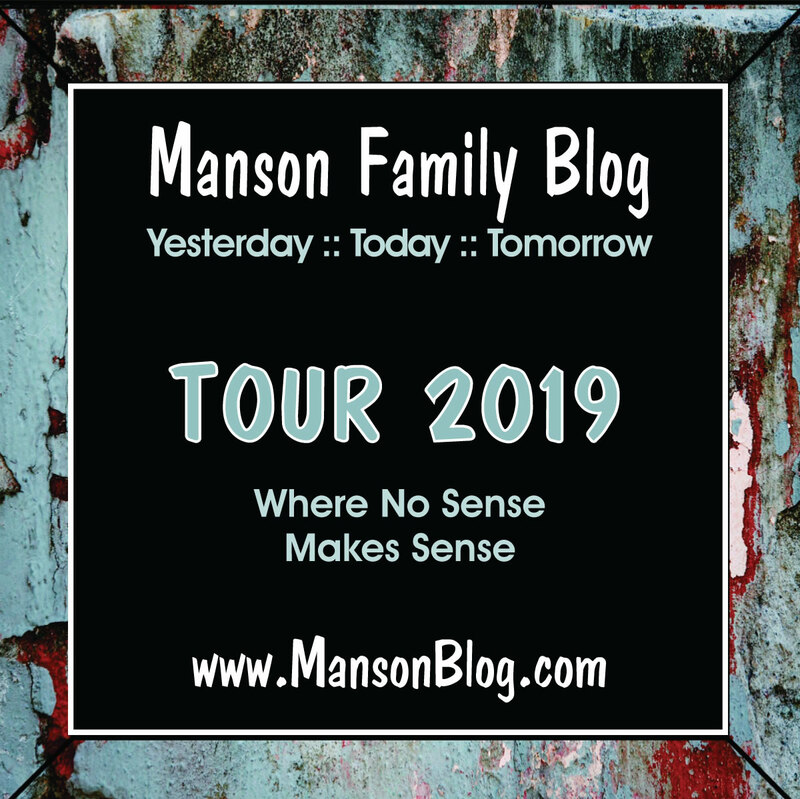 NOTE: WE are NOT living in the PAST, but the FUTURE, and Mr. MANSON was providing US with a peek into the FUTURE. Educated folks think HE was a babbling NUT-case. What do YOU think ? Good point. If there had been modern technology like DNA testing and CCTV cameras at all the intersections/streets, Bugliosi would not have to make such use of participants turning State's evidence, and going scot free. I would have liked to have seen Mary Brunner and Linda Kasabian doing time for their participation. Manson is a babbling nut case who, for some reason or another new how to read people better than an known psychic around. You are dealing with someone who had ties, in my opinion to celebrities, politicians, and police officials. I think this case goes way beyond Helter Skelter. At the same time, I think CM was an extremely dangerous individual. Don't bite my head off for saying so, please. That is just my opinion. AustinAnn74, did you ever see any of those documentaries about John Lennon, specifically the footage where, right around the time of the breakup of the Beatles, this guy turns up out of the blue at John and Yoko's mansion? Your comments about Manson made me think of this. I mean, this guy turning up off the street at John's front door and thinking that his lyrics were speaking directly to him, etc. This was obviously after the killings and I can't help but wonder what was going through John's mind at the time - especially when he already had to deal with the knowledge of the White Album being cited as "inspiration" for events of that weekend. "How come Debra Tate or Barbara Hoyt never went to Steve's parole hearing?". I've wondered that myself. If Steve is/was as "challenged" as it's been constantly reported, wouldn't logic dictate that as Barbara knew Steve and, with her subsequent nurse training, she'd be at the front of the line citing his lack of mental faculties as sufficient reason NOT to release him? I would have thought someone whose faculties are pretty much diminished wouldn't be leapfrogged back into society, despite their apparent helpfulness in contributing to solving historic cases. I wanted to mention something although it is off topic. If you go onto Charles Manson's Official Facebook page (ATWA), in recent weeks they have been uploading telephone conversations and a YouTube video recorded on 8 May. His voice is very, very slow now. I don't know if he is on heavy medication, or he is really showing the signs of ageing. I wouldn't like to bet on how long he will last because most 79 year olds sound better than CM does. Honey, that man's been locked up in a concrete box for the majority of his life. If a person's brain doesn't get enough stimulation, it starts shutting down in ways. The brain is like a muscle. It needs exercise. He is old, and not in good health. I wouldn't doubt if he has the beginnings of emphysema. Bucpaul - Grogans hearing happened at a time before the internet was all the rage and it happened without much public knowledge. It wasn't until he was paroled that the media jumped on the story. I recall seeing it on the local LA news and they mentioned he was living in a trailer park not far from Spahn in Chatsworth and working as a house painter. That news really seemed to pop up out of nowhere. Sun King, thanks for that! The thing is, what with the Bug's "revelations" way back when, I kind of gathered that Clem's diminished faculties (as they were) had already been pretty much documented and up for public consumption way before the advent of the internet.